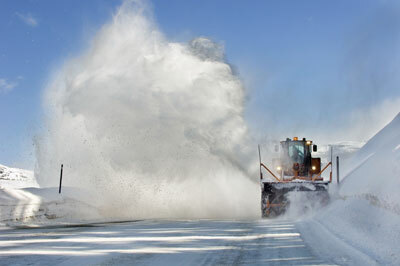 Caltrans crews keep mountain passes open. Entering a competition will give you a great reason to get out and take a portfolio of pictures of a concrete subject (pun intended). Transportation and the people who build, maintain, operate and use the system are wonderful subjects – and there are many stories to be told with a simple picture. 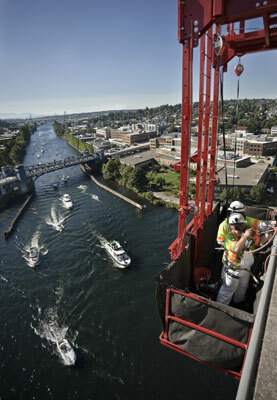 Washington State DOT bridge inspectors at work. Getting your work out into the public eye is a good way to see it in a different light. You’ll get a fresh perspective on your photo when AASHTO publishes it in various publications and reports that will receive national attention. The transportation community is broad and varied and represents a large cross-section of the nation. So, it’s going to be seen by quite a lot of people. If you’ve never taken a transportation-related photo before, you’ve got some exciting times ahead of you. Read Julie Duewel’s excellent post about her experiences on a photo shoot for the Nevada DOT. She’s a professional photographer with the Department, so you probably won’t get to climb around on a 900-foot tall bridge, but there are many other thrilling (and safe!) opportunities to be found out there. Still want to win? (Of course you do!) We found the advice from Darren Rowse, writer for the Digital Photography School, particularly insightful.